For 30 years, ServiceMaster OneCall has been providing exceptional service to our clients in the pursuit of excellence. ServiceMaster OneCall was founded in 1987 by the company's owner and president, Steve Warner. Over the years, ServiceMaster OneCall has grown to be one of the largest ServiceMaster janitorial franchises in the nation. ServiceMaster OneCall is dedicated to meeting the needs of its customers by offering the following services: janitorial / custodial, post-construction clean-up, floor care, one-time cleaning, and disaster restoration services. We currently clean over 400 different locations and employ over 750 employees. Our third corporate objective, "To pursue excellence", highlights our commitment to the quality of our services and customer satisfaction. We strive for excellence in the service to our customers and expect every ServiceMaster OneCall employee to provide exceptional service to our clients. ServiceMaster OneCall offers a full range of options from seven day a week janitorial service all the way down to one day a week janitorial service. We will meet with your facility manager to design a cleaning schedule that meets the needs of your facility. Each ServiceMaster OneCall account has a division manager assigned to the facility. The division manager is responsible for the day-to-day cleaning operations of the building. Each ServiceMaster OneCall employee assigned to a building has gone through a background check, drug screening, and training program. ServiceMaster OneCall has been successful in building our business by keeping customers happy with the quality of our work. Each building cleaned by ServiceMaster OneCall receives a periodic quality assurance inspection to ensure we are meeting the expectations of our client. What happens when you combine 50 years of expertise, emergency response training, "The Joint Commission" regulatory compliance training, responsive communications, green solutions, proven cleaning methods, patient satisfaction training, and patient bed management technology all in one program? You have the ServiceMaster HealthCare Program. Health and safety concerns require specialized training for cleaning services at healthcare facilities. Created in compliance with CDC, JCAHO, and HIPPA standards, the ServiceMaster Clean® healthcare training series ensures that ServiceMaster OneCall is able to properly provide specialized cleaning services customized for your facility. ServiceMaster OneCall provides a month-to-month light building maintenance service contract. ServiceMaster OneCall can tailor the contract to meet your building’s needs. 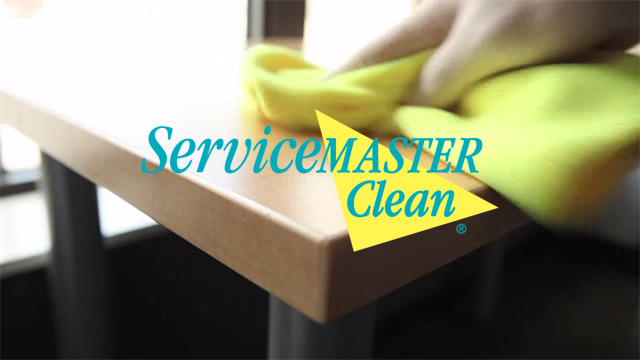 ServiceMaster OneCall has been a leader in the post construction clean-up services business since 1987. We are proud to say we have been involved in some of the largest commercial building projects in our area. Whether it is a new hospital, new mall, or a new high rise office complex, we have the knowledge, management, and training to get the job done right on time and within your budget. Workers’ compensation coverage for your protection and security. On-site management team makes sure our services meet timelines and expectations. Experience working for LEED®-certified projects. We can use green cleaning products and procedures. Quick access to experienced clean-up crews for projects of all sizes. Our services are prepped for ASAP projects. Experience working for LEEDS®-certified projects. We can use green cleaning products and procedures. ServiceMaster OneCall is proud to provide our customers with a well-managed and well-trained floor team. The floor team conducts regular floor maintenance for our janitorial customers and completes one-time floor project work. The floor team is equipped to handle large or small floor projects on an as-needed basis. Entrust your business to the industry leader. Whether your commercial business is interrupted by flood, fire, or an act of Mother Nature, your chief concern is the same. You want to get back to business as quickly as possible. At ServiceMaster OneCall, we have more than 50 years of experience, leadership, and expertise in helping businesses get back on their feet---fast. In fact, we command the largest large-loss response mitigation and reconstruction capabilities in North America. For commercial customers, every minute counts. A disaster can place your inventory, customers, revenue, property, and reputation at risk. That’s why we have specially trained and equipped professionals ready to mobilize when disaster strikes. We operate 24/7/365, so we are ready when you need us most. Our restoration professionals can be on-site within two to four hours to assess the situation, develop a mitigation plan, and begin restoration. Certified disaster experts are standing by. ServiceMaster OneCall offers a network of certified Quality Restoration Vendors (QRVs). To achieve and maintain QRV status, employees must undergo intensive training and adhere to strict standards for disaster recovery. These standards can ensure the highest levels of technical expertise and customer service. The right call when things go wrong. You never know when disaster will strike, or how many businesses will be scrambling for help. With the 866 RECOVER program, commercial policyholders can prearrange for services so their businesses will have first priority in the event of a broad-based disaster. Whatever your policyholder’s business, we have the recovery services they need. © 2017 ServiceMaster OneCall. All Rights Reserved.